Life comes at you fast and for Wanda Hall, it felt like life was traveling at the speed of light. Wanda was enjoying her life as a stay-at-home mom to her 12 children. She loved being there for them as they left for school and came home from school, but life came at the Hall family fast. Wanda's husband, Keith, who had worked at the Ford Motor Company to support his family for years, was diagnosed with multiple sclerosis (MS). MS is a progressive and aggressive disease, so shortly after Keith's diagnoses, he had to retire from his job. Wanda realized that her role as a stay-at-home mom would have to change, she would have to go to work to support her family. Chelsea Bowman, Licking Valley Campus Program: Associates of Arts Graduation Date: May 9th, 2018 Current Employer & Position: Front Desk Receptionist at MCTC Licking Valley Campus. 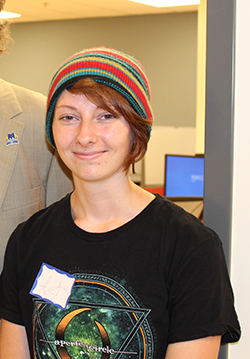 How Has MCTC Made Your Life Better: It has allowed me to have so many amazing opportunities in the class room, outside of the classroom with student organizations, they have helped with making school affordable and made the transition, after graduation, to Morehead State University a lot smoother. I feel as if MCTC was the best decision I've made for myself when considering college. I love it so much and I'm sad to leave in May. The ninth annual Farm and Family Night will be held on the Maysville Campus of Maysville Community and Technical College on Monday, March 5, from 4:30 p.m. - 8:45 p.m. Dinner begins at 4:30 pm. Meadowview Regional Medical Center is the title sponsor for the event. Kelly Renchen Program/Degree? Associates in Information Security Graduation date? May 2016 Current Employer & position? 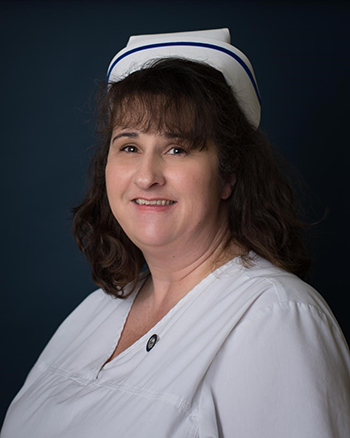 Annlyn Purdon, IT Coordinator for Hayswood Home Health How MCTC Help Make Your Life Better? From a young age I've had an interest in electronics, starting with the most basic AV equipment and going from there. When I first started MCTC, I didn't realize the spectrum of "Information Technology". MCTC gave me the skill set that was required to progress into the IT field, the work study program also let me add real-life application to what I was learning in my classes. With the help of my instructors, I became very determined to achieve success. MCTC gave me more than just skills related to my field though, it helped me connect to a network of students like myself and it allowed me to develop good conversational skills after being anti-social most of my life. Alicia Sprague, Licking Valley Campus Program: Associate of Arts. I will receive a business transfer certificate. I have been accepted in the Accounting, Pre-Major (BSBA) at the Northern Kentucky University Business College. I will begin that journey Fall of 2018. From heirloom tomatoes to towering sunflowers, germinating seeds will soon provide an abundance of plant life in our gardens. Some people have never planted seeds, and others passionately harvest and save them. We may collect seeds to share or, to carry on the plant's legacy from year to year. Help us celebrate this planting season with our plant exchange!